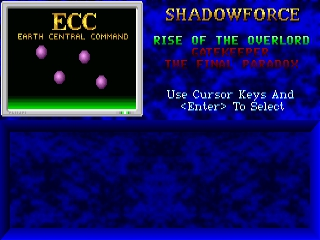 You can play ShadowForce on this website so you don't need to download and install the game on your computer. We recommend to use Google Chrome when playing DOS games online. 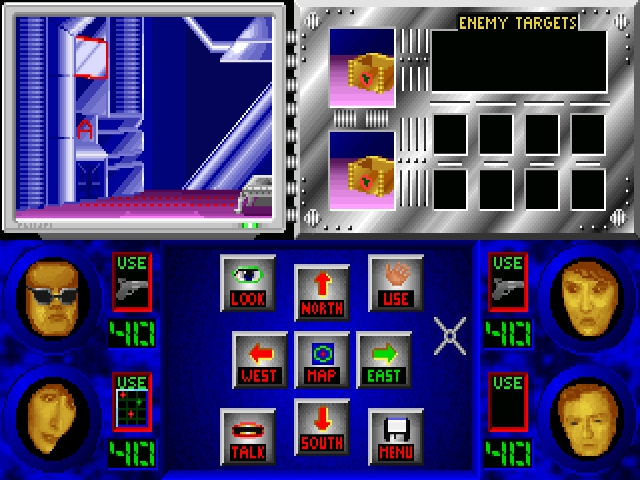 The shareware version includes the first mission, Rise of the Overlord. In the 22nd century you control the Shadowforce, an elite investigative team whose mission is to uncover the mystery behind the shutdown of Icarus, a government AI and genetic warfare facility. 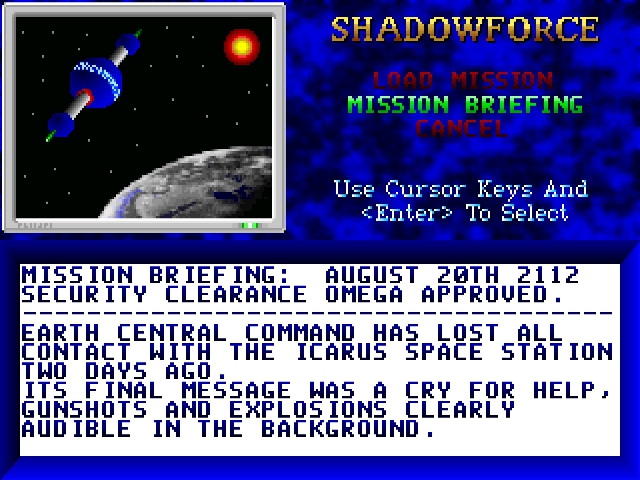 In this mission you encounter the deadly Overlord, and you discover the awful secret behind the nebulous Icarus experiment. ShadowForce is a graphical adventure game with the playability of a sci-fi thriller. Requires 386+, VGA; Sound Blaster sound card and a mouse are recommended.